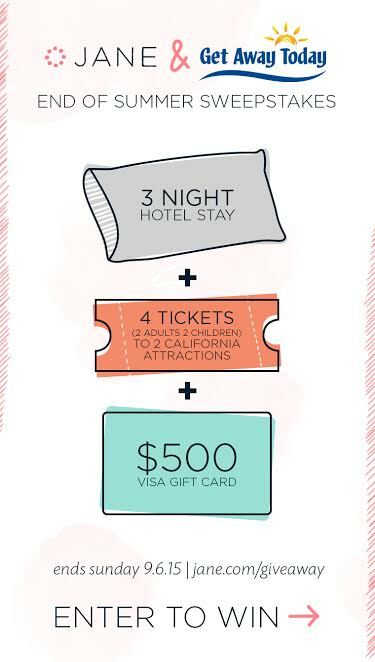 Jane.com: Enter to win a Family Vacation to California theme parks! Jane.com — one of my all-time favorite online boutique sites — is running an End of Summer Giveaway right now! You can enter every day through September 6, 2015. Be sure to use my Giveaway Partner Code MONEYSAVINGMOM and you can get 20 extra entries every single day. « Sign up for a FREE training series on how to start your own bookkeeping business! Thanks for the link. Not sure how to enter the sweepstakes each day….can you all help? I’ve only been able to enter once (it’s ‘saved’ all entry info, even when I tried opening the link in a different browser). Thanks!